Born as Mount Holly in 1972 and run as Elk Meadows until 2002, Eagle Point Ski Resort, located in southern Utah, has resurrected itself as a leaner and meaner operation. The ski area is located about 20 minutes from the town of Beaver (pop. 3,000) and caters to skiers and riders from Las Vegas, Phoenix and southern California. The resort is home to long groomed intermediate and beginner terrain mixed with excellent advanced trails. The terrain is diverse, the scenery is spectacular and the ski area is known for having a relaxed atmosphere and some of the best terrain options in Southern Utah. 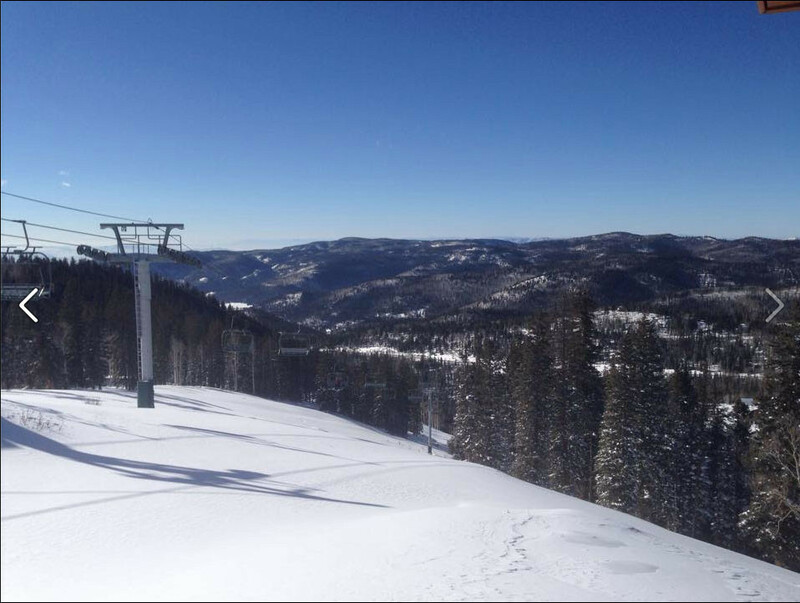 Eagle Point ski area is home to a great mix of terrain for all ability types. The resort sets up with over 1,500 vertical feet on 600 acres of in-bounds terrain. Eagle Point has five lifts and 2 transport snowcats, a terrain park and tubing park. The Lookout chair delivers skiers and riders to a dozen black-diamond slopes, while the Skyline and Monarch chairs serve intermediate and novice runs. A 12-feature terrain park includes an 18-foot halfpipe. The base at Eagle Points sits at 9,100 feet in elevation amid the Tushar Mountains and the summit sits at 10,600 feet. Eagle Point averages over 450 inches of annual snowfall for skiers and snowboarders to enjoy. The upper lodge at the base of the Skyline and Monarch lifts serves up traditional ski area fare: hamburgers, fries, soups. The Canyonside Lodge, located at the base of Lookout chair, houses the Outpost Grille and Lounge. Elk skewers are among the favorites, with daily lunch and dinner specials. The lounge features flat screen TV, fireplaces and a relaxed apre-ski setting. A rental shop at Canyonside Lodge fits skiers and ‘boarders to equipment, and rents out tubes for the tubing hill and snowshoes for a foray into the backcountry. The Learning Center, housed in the Eagle’s Nest yurt, offers full- and half-day sessions for children. One focus of the Eagle Point Snowsports School is getting newcomers onto the slopes with multiple learn-to-ski options. Instructors also lead full-day workshops for all levels, and both group and private lesson.